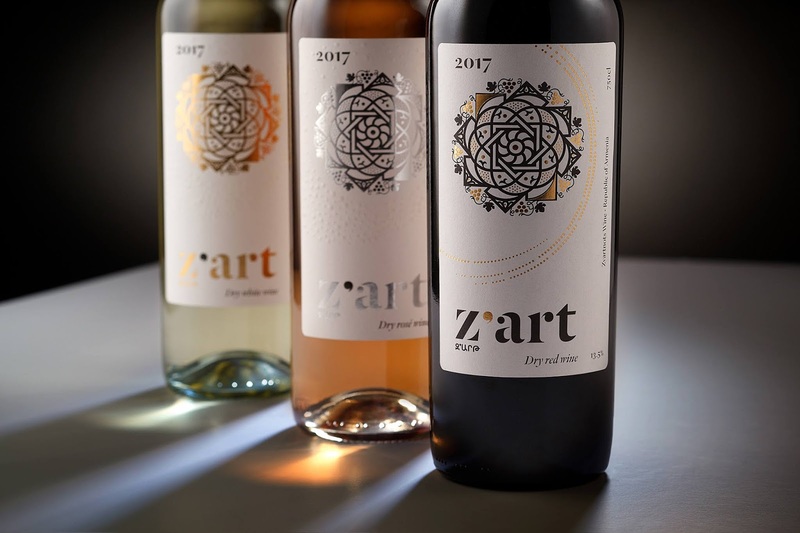 The story of Z'ART wines goes back to the times when Telman Papi planted his vineyards in Zvartnots having a dream to see his efforts grow into an art of winemaking. 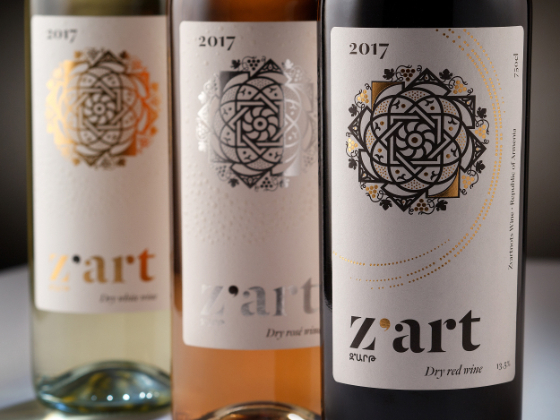 Today we realize our grandpa's dream and introduce Z’ART wines to you. Armenian transcription of Z’ARTmeans jewel/ornament. 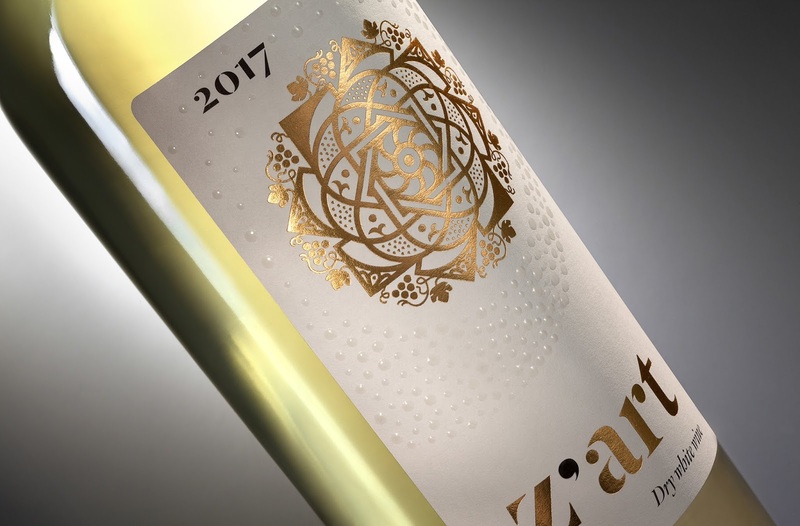 What’s why the brand symbol was made from Armenian-style rosette as a metaphor of precios piece of art, same as the Z’art wine. 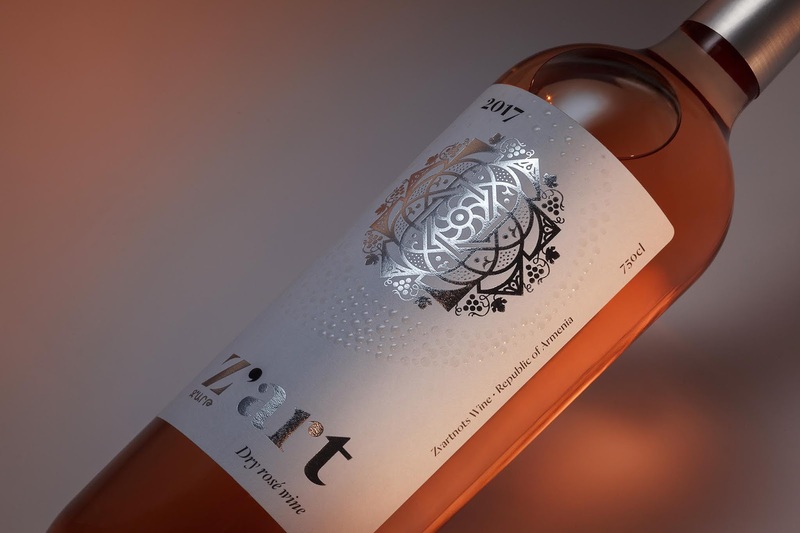 Salute Red Z'ART with Areni and Kakhet varieties, White Z'ART made from Voskehat, Lalvari, and Khatun, and Rosé Z'ART with its valiant choice of Kakhet! The exquisite combination of our grape varieties brings out the most unique flavors to turn your evenings into arts festivals. As the ambiance of the vinous spot itself is the art of wine. And the impatience to open the bottle is the art of wine. 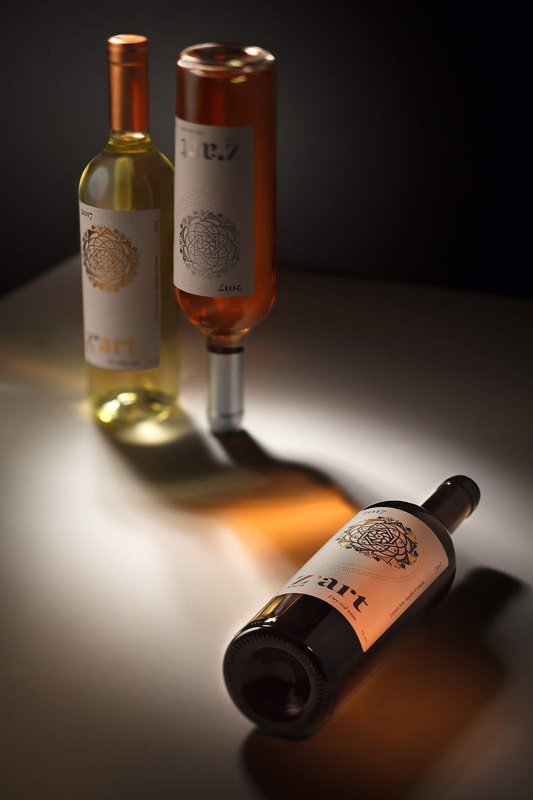 And the wish to guess the stories behind the profound taste is the art of Z’ART wines! We tried to represent rosette (brand symbol) in various printing techniques to look different, but recognizable. Foil, varnish, print, embossing, etc.